This absolutely gorgeous bonbonniere is signed HEM and is Czech made in the Art Deco period. 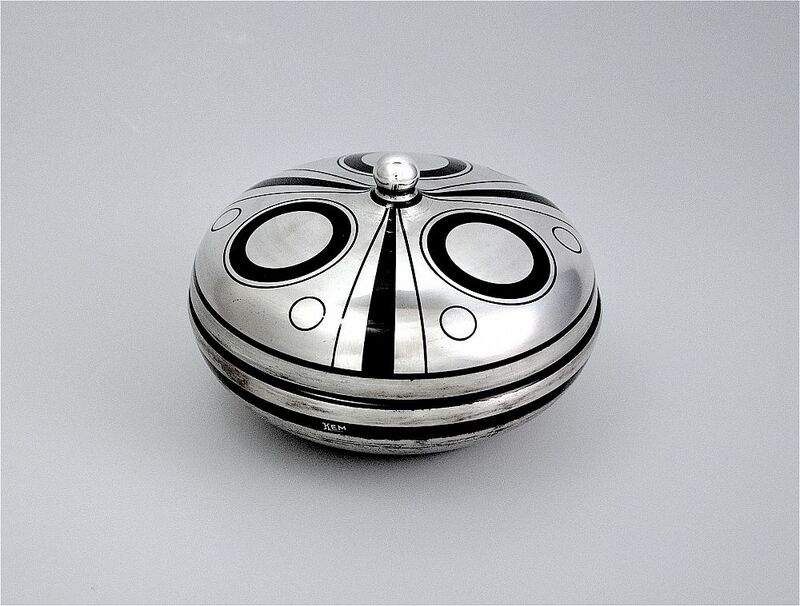 It is made of black glass that has been overlaid in silver in a geometric pattern that matches the scent bottle that is also on the site. 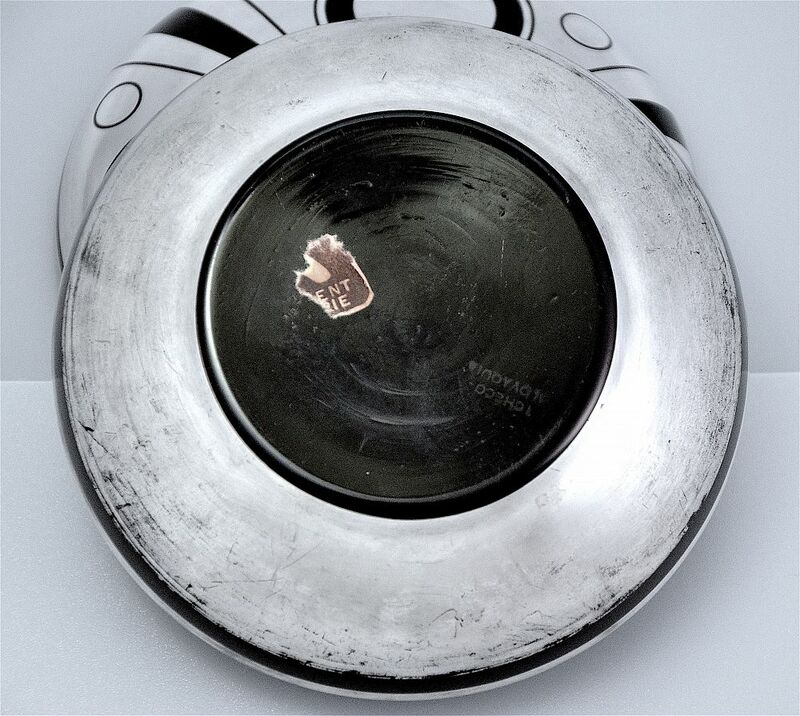 The domed lid has a round silver overlay finial and the base is predominately overlaid with silver. It is signed "HEM" on the bottom half of the bonbonniere. There is a number "6" in silver painted on the inside of the base and on the inside of the lid. There is the remains of a retailer's label on the base together with "Tcheco-Slovaquia".